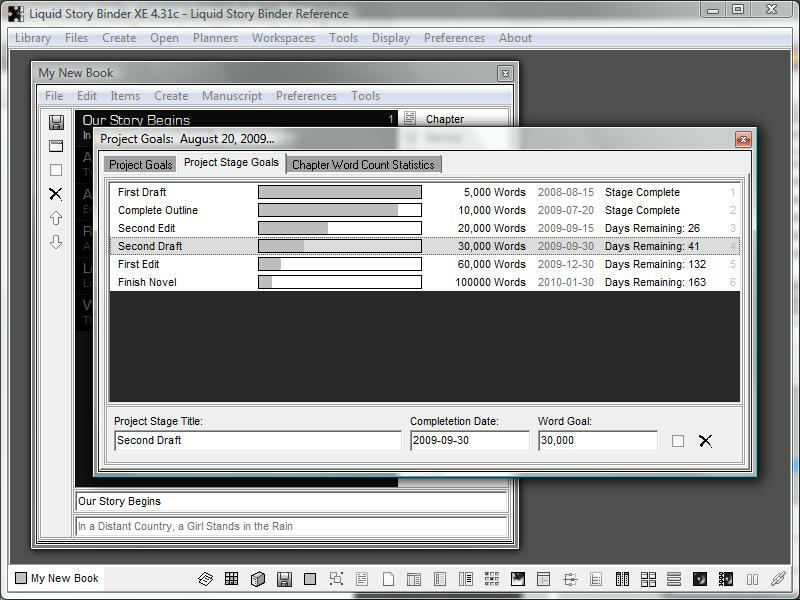 The Liquid Story Binder 'Project Goals' feature allows you to schedule date and word count targets for the currently opened book. 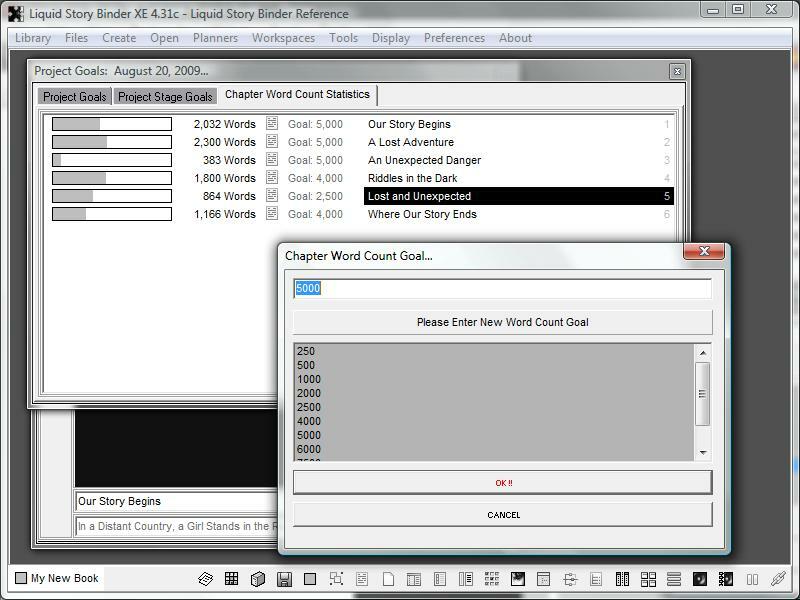 Set your start and finish goals and Liquid Story Binder will automatically calculate work days remaining, average word counts, and remaining words left to write. To view the 'Project Goals' dialog, create a Planner or Listing. Add all the Chapters you wish to include within your new manuscript. Then, from the 'Manuscript' menu, choose 'Project Goals'. The 'Project Goals' dialog opens displaying general project goals and statistics for the given manuscript. Here you can calculate date and word count targets for the manuscript as a whole. The 'Project Goals' dialog allows you to add specific Stage Goals. Each Stage Goal can have its own completion date and word count goal. Click the 'Project Stage Goals' tab to view and edit your writing schedules. The 'Project Goals' dialog also displays word count statistics. Click the 'Chapter Word Count Statistics' tab to view word counts for selected Chapters. 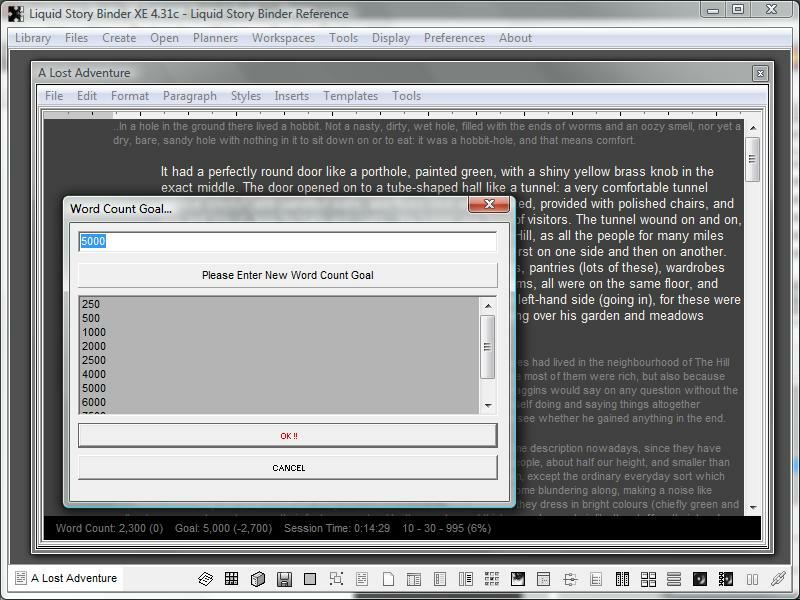 Double-click an item to change the Chapter 'Word Goal' value. 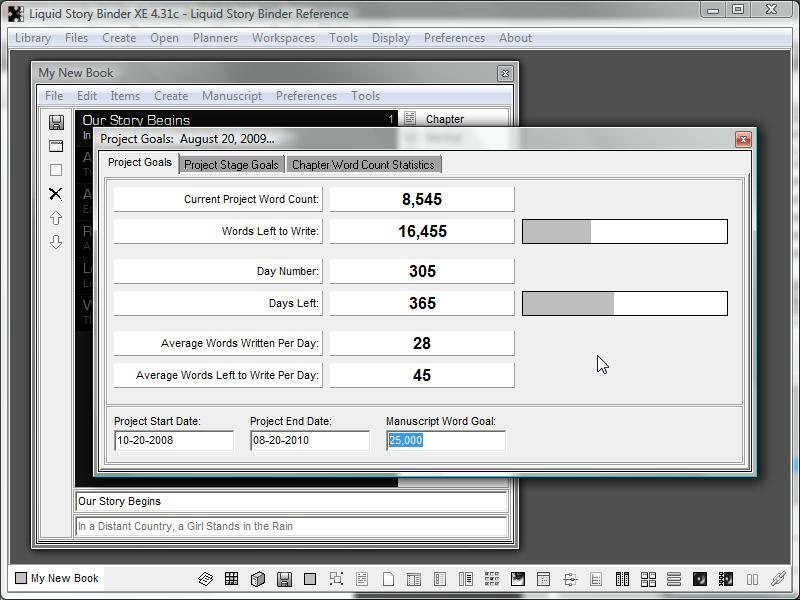 The Liquid Story Binder XE Statusbar displays the current word count, word goal, session time, and positioning information. 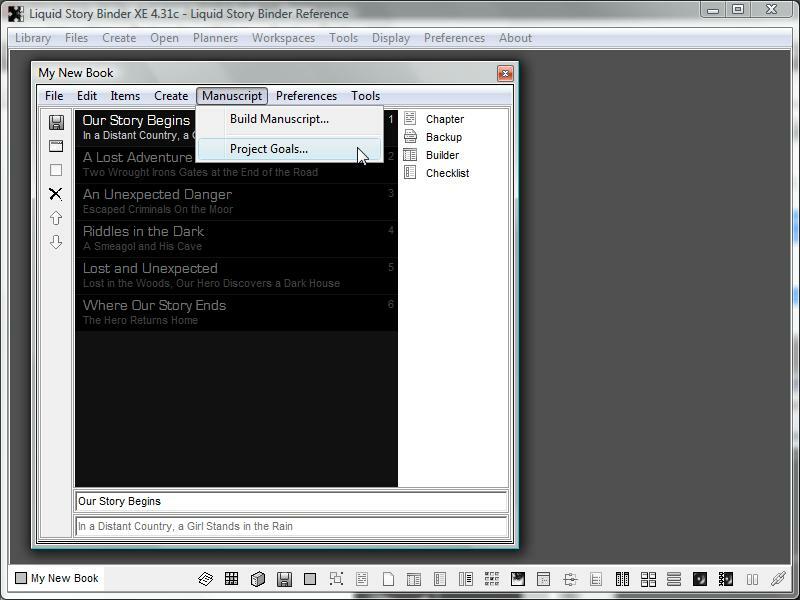 The Chapter/Builder Statusbar is located just below the main document. Double-clicking the Statusbar allows you to change the word count goal for the currently displayed document.